Frank and Marion Church purchased this land in the 1980’s, managing it for pine, spruce, and some hardwoods. Frank kept the pine thinned and healthy, and the fields free of shrub growth. After Frank’s passing, Marion donated 26 acres to the Conservancy. At the preserve’s highest elevation, approximately 800 feet, you can see Lake Charlevoix. 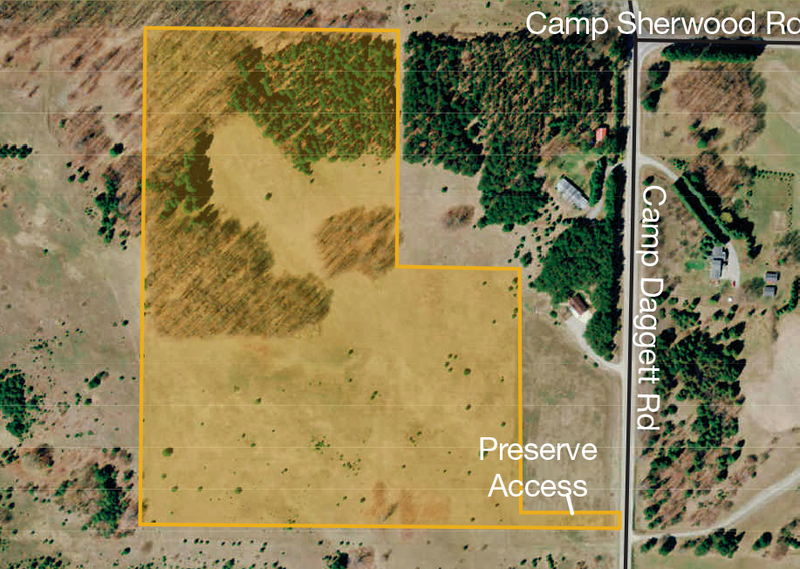 Preserve entrance is south of 05947 Camp Daggett Road and south of Camp Sherwood Rd. Look for a two-track leading into the fields on the west side of the road. Park at the preserve sign.